Have you ever played dominoes? Most of us have, and you’ve probably lined up those wooden rectangles so they topple into each other. It’s a fun thing for kids and adults, too. Unfortunately, those cascading dominoes picture what happens to our health when we don’t care for our teeth and gums. So, Dr. Travis Rottman, dentist in Sachse, urges you to routinely care for your oral health at home and his office so you have a healthy mouth and a totally healthy you. Dental care extends beyond your teeth.Your gum tissue is equally important as it supports and protects your teeth and jaw bone. When you see your family dentist in Sachse, he’ll check your gingival health looking for any sore spots, redness, swelling, bleeding and gum pocket depth. What are gum pockets? They are the spaces between your gums and your teeth. Ideally, they should be no deeper than three mm. Anything deeper than that indicates an unhealthy accumulation of plaque and tartar that forms from food residues. Plaque and tartar are filled with bacteria which leads mild gingivitis and more destructive periodontitis, a major cause of tooth loss in American adults. That’s why Dr. Rottman and his team check for gum problems and perform tooth scaling, root planing and antibiotic therapy as needed. Unhealthy gums can be treated so your feel your very best. When you have a routine exam, Dr. Rottman looks carefully at all your teeth and existing restorations such as crowns and fillings. He is looking for tooth decay, of course, as untreated cavities are a major factor in tooth loss. 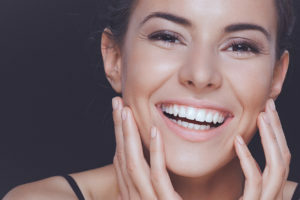 Yes, even one missing tooth affects your appearance, how you bite and chew and how strong your remaining teeth and bone structure are. Also, Dr. Rottman inspects for evidence of teeth grinding, poor dental bite and oral cancer. Unfortunately, oral cancer affects millions of adults yearly. Caught early, it is curable. That’s why Dr. Rottman looks beyond your teeth to all the soft tissues of your mouth to notice any lumps, sores, discolorations or lymph node swelling. Finally, your dentist addresses your smile aesthetics. How you feel about the appearance of your teeth affects your self-confidence and interpersonal relationships. This is backed up by research done by the American Academy of Cosmetic Dentistry. So Dr. Rottman wants to know about any aesthetic flaws such as chips or gaps, the color of your teeth and how well they are aligned. He offers a wide range of cosmetic services that can refresh the look of your smile. Be sure you’re at your healthiest by caring for your teeth and gums. The dedicated team at Sachse Family Dentistry would love to help you reach that goal. If it’s time for your six-month check-up and cleaning, please contact the office for an appointment.